The idealistic passions of youth must not be rationalized away or patronizingly pushed to the side. If you are younger, you are not only part of the church of tomorrow, you are also God's servant today. Serve him mightily and be an example to those who are older! If you are older, don't look down on the enthusiasm of youth, but encourage it and be inspired to emulate it! 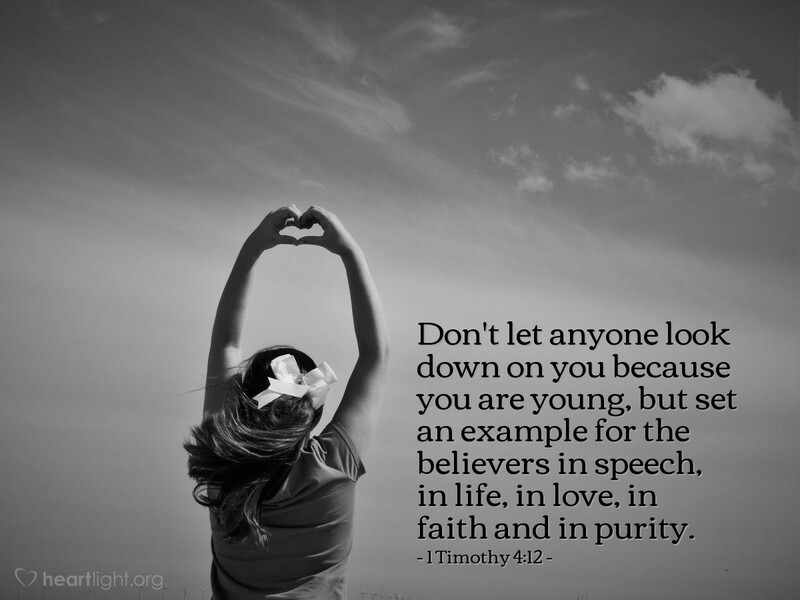 Let's remember, some of our best examples are those who are younger who serve our Lord with a vibrant faith! Father, thank you so much for energetic, enthusiastic, and passionate Christians who are in the younger years of their adulthood. Empower their witness, bless their service, and keep their hearts pure as they grow and mature in your service. In Jesus' name I pray. Amen.